The best wealth is health. Does it ring a bell? Of course, there is a direct relationship between health and wealth. When there is good health, we can acquire more wealth. But, our health is more important than our riches. That is man’s number one priority. It is everybody’s concern. In fact, almost all candidates who run for office always have healthcare in their platform. Any candidate who promises healthcare takes the seat. When there is perfect health, everything else follows, including wealth, of course. You can work right and concentrate well if you have a sound mind and body. How can you enjoy the things you worked for if you are weak and unhappy? We can’t take care of others when we can’t think and act right. Health is always an important issue at home. I painstakingly remind my kids to practice hygiene to avoid invasion of bacteria and viruses in our body. The bathroom should be a place where you cleanse yourself, so naturally, it should be clean as you come and go. Weekly sanitation is done by spraying safe products so that molds and mildew wouldn’t grow. A clean environment inspires you to work around. We don’t allow garbage to sit overnight inside the bins. Washing of hands is a must before and after meals. 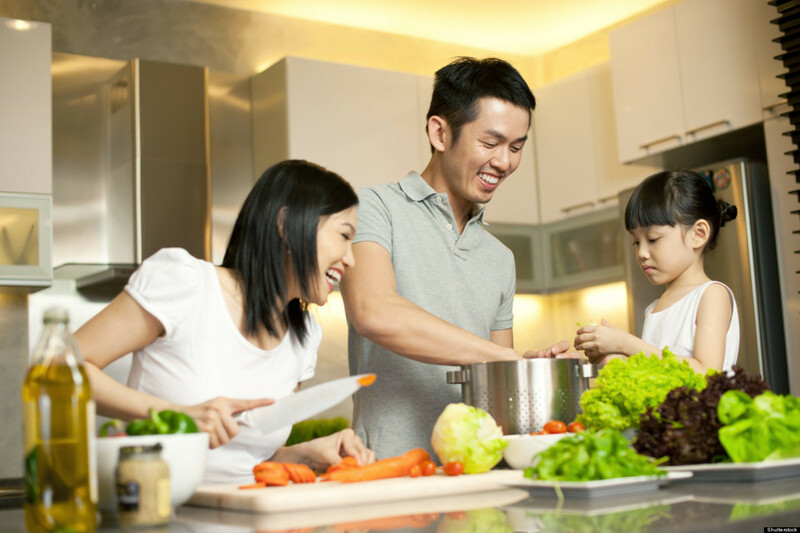 I teach my family to eat the right food and sweat it out by doing household chores and running errands. It is a win-win situation for all of us. We burn calories as well as the house gets tidy. It brings harmony among family members. To eat right does not mean spending much. All you need is just a little creativeness and resourcefulness in cooking. Our family totally eliminated carbohydrates because it does not give benefits to our body. It is also important to follow the food pyramid chart so we can monitor what we take and check what our body needs. Vegetables and fruits are staples in the house. For us parents, we take a glass of red wine twice a week. I also advise to take vitamins and supplements daily. Stress is the number one killer. It is the source of diabetes, stroke, high blood pressure and cancer. To avoid these killer illnesses, all we need to do is think right, act right and choose to be happy. When we are happy, our body is happy too. It releases happy hormones and our mind commands the body to follow the mind. So it is important to be at peace with everyone and everything. A sound mind has a sound body, or so they say. Do I hear medical insurance? We should have one. It is our body’s investment so that we can afford to have our health checked up when we get sick. As we attempt to clean our physical being, we also should have a clean mind and soul. It is important to have confession or simply ask forgiveness from the one you hurt. Enjoy the things around you and be contented with what you have. Lastly, live the say as it is, for you only live once. Enjoy!